I dreamed about breadsticks the other night. I guess that officially dubs me as a “carboholic,” doesn’t it? 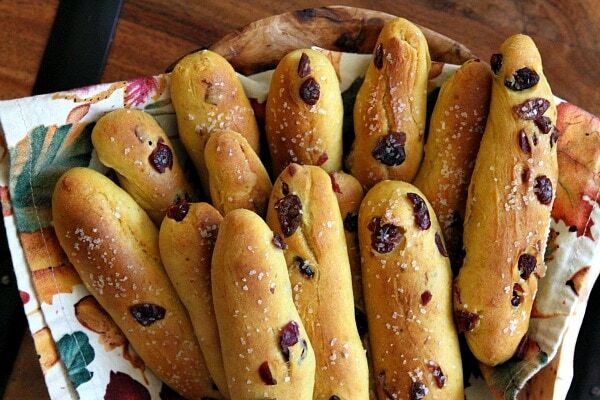 Breadsticks floated in my head as I slept… soft and tender breadsticks, breadsticks with rosemary and sea salt, Parmesan-crusted breadsticks dipped in marinara sauce, and then these breadsticks too… Pumpkin- Cranberry Breadsticks. I know it sounds weird. But I dream about recipes, and then I get up the next morning and make them. Sometimes my dreamy recipes are a total disaster. I once made a strawberry cake 5 times before I decided that my dream was a nightmare (true story!) 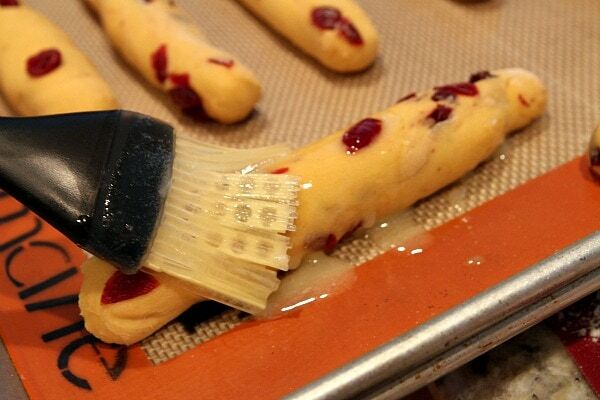 But these breadsticks… were a very good idea indeed. Remember when I was sharing my dilemma in choosing a mixer color a few weeks back? Well, I finally decided on PERSIMMON. It’s a bright orange- perfect for fall. Perfect for helping me with yeasted bread recipes where that dough hook can do all of the heavy work for me. I also brought out my Gold Medal Better for Bread flour for this recipe. 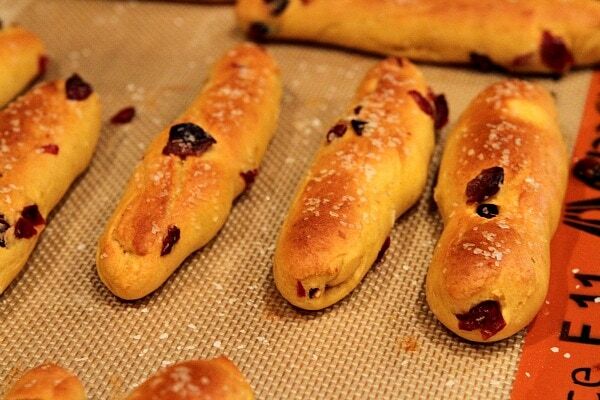 I like to use bread flour for bread sticks since it gives them more of a chewy texture. Those people back in the old days who made bread… who gave it their all with their arms and their shoulders and their hands and kneaded it to perfection? Yeah, I’m not sure I could have handled that. 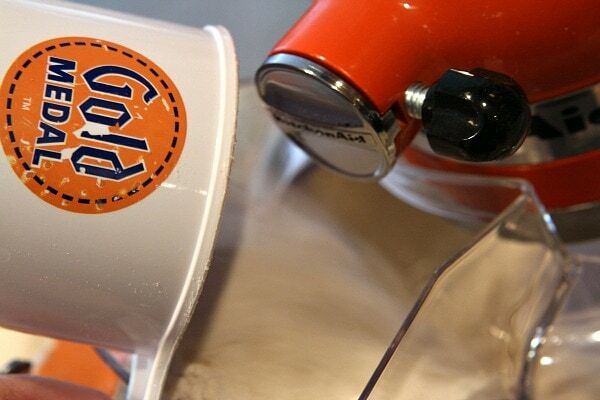 If you ever have the opportunity to get a stand mixer with a dough hook, it’s wonderful… it does all of the work for you. You can certainly make this recipe without one- but you’ll need to give it your all and knead it by hand. 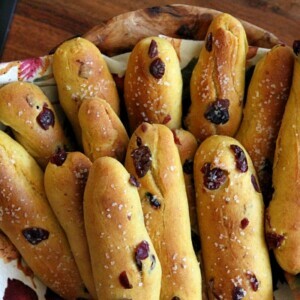 I chopped up some dried cranberries to add to my bread sticks (because that’s what my dream told me to do). To form the bread sticks, you just break off little chunks of the bread dough and roll them into logs that are twice as long as your fingers. Then you’ll cover them and let them rise in a warm place. My laundry-room-in-action is the perfect place for warm rising. You probably have somewhere in your house that gets warm like that, right? After rising (they won’t puff up too terribly much), the sticks get brushed with melted butter and sprinkled with Kosher salt. They bake up to be a golden brown. I dare you to taste one right here and there. Be careful- you won’t be able to eat just one! 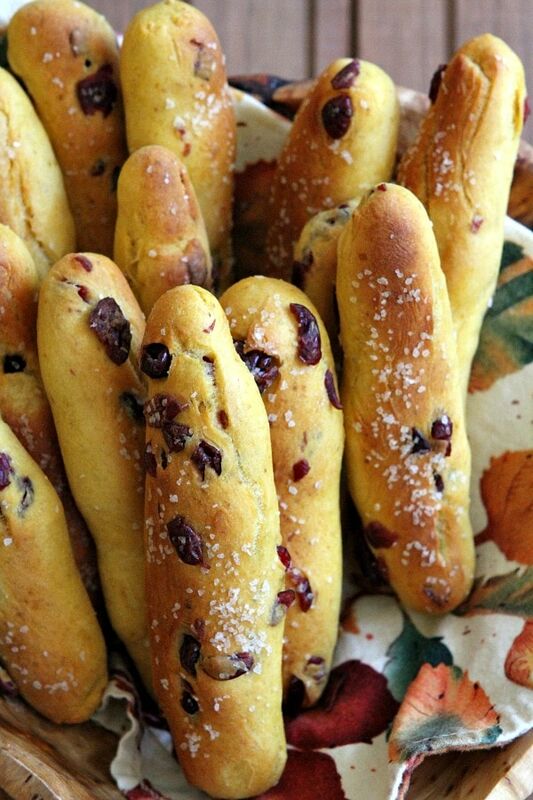 I was very pleased with how my dreamy Pumpkin- Cranberry Breadsticks turned out. 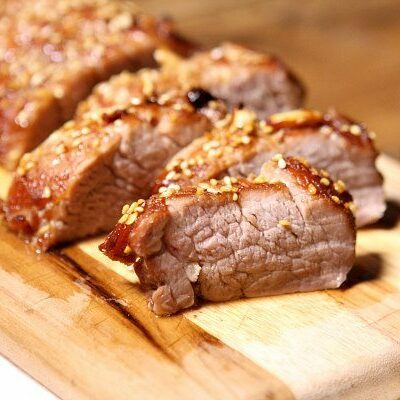 They’re tender and chewy… soft on the inside and slightly crispy on the outside. They’re perfect with Turkey-Pumpkin Chili… or soups or salads. The recipe makes about 32- which is WAY TOO MUCH for my small family, so I wrapped the excess in foil and stuck them in the freezer for future needs. They’ll defrost easily and warm up nicely (see the recipe for details). 1. In a glass cup, dissolve the yeast in the warm water and let sit for 5 minutes to activate the yeast. 2. 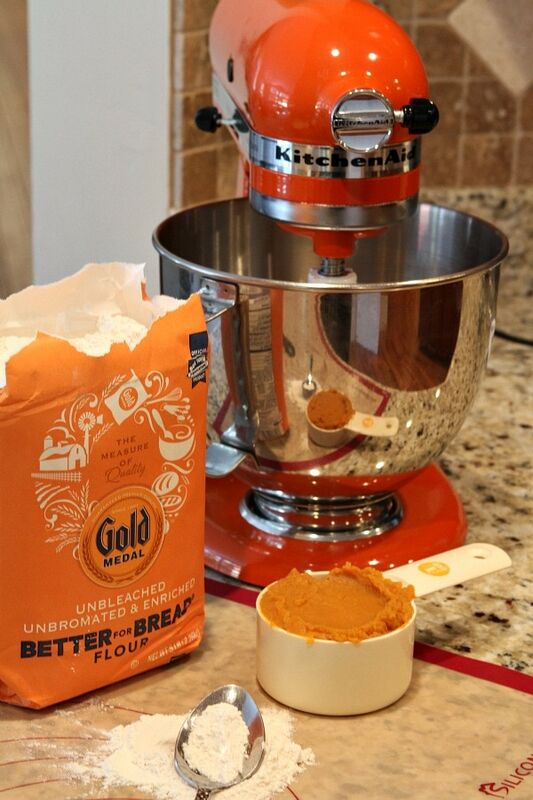 In the bowl of a stand mixer, combine the water/yeast, pumpkin and honey. Mix to combine. 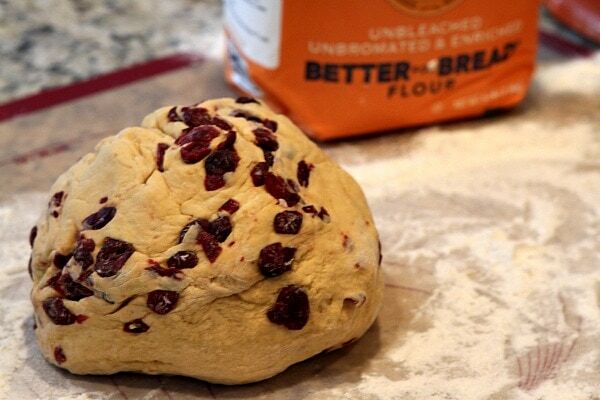 Insert the dough hook and gradually add in 3 cups of the flour (scrape sides, as needed). Add the cranberries. Sprinkle in the remaining 1 cup of flour, and let the dough hook do the kneading for 4 to 5 minutes, until the dough is smooth and shiny. Remove the dough from the bowl onto a lightly floured board. 3. Line two baking sheets with silpat mats or parchment paper. 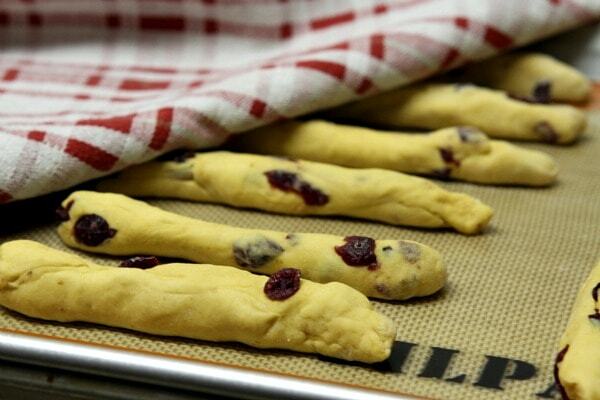 Break off small pieces of the dough and roll into thin breadstick "logs" - 6 to 8-inches long. Place them on the baking sheet. You should end up with about 32 bread sticks. Cover the baking sheets with a clean dishtowel and place them in a warm place to rise (I use my laundry room, when laundry is in full swing). Let rise for 30 to 60 minutes, until the breadsticks have puffed up a little bit. In the meantime, preheat the oven to 400 degrees F. After rising, brush each bread stick with butter and sprinkle with kosher salt. Bake for 15 minutes, or until golden brown. Let cool slightly, then serve. Or wrap in foil to store in the freezer- to be served later. Let thaw at room temperature, then bake at 300 degrees F. for 5 minutes to warm up. i baked it and it was really really deliciouse! 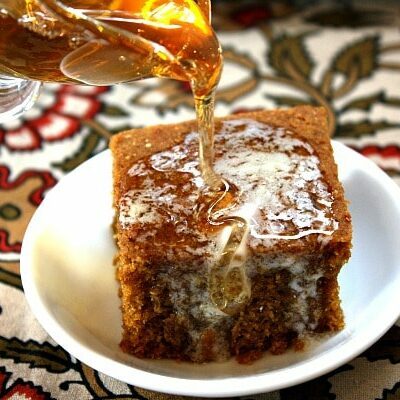 I made some changes in recipe by adding ginger and cinnamon to it and also adding a little salt, because we don’t have salted butter in our country and all butters are unsalted! and also i added sesame on top! made these with gluten free flour- they turned out good. the dough was very wet and i even added extra flour. I was hoping they would have been a little sweeter but they were not. Next time i might add a little sugar or brown sugar. They have a pretty orange color to them so they will be perfect for thanksgiving! Just made these today, what a great recipe! Loved them. 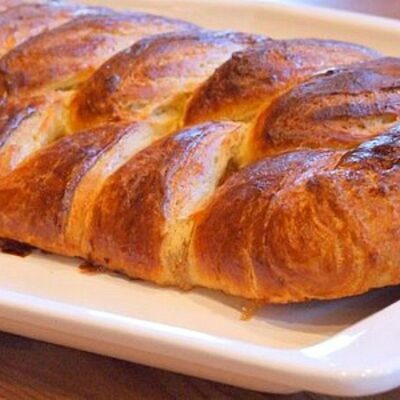 Do you think that this recipe could be altered into making crescent rolls? I am thinking about using it as the dough for a crescent roll recipe for thanksgiving. Well, because they are breadsticks I’d say they might be a little too dense to create a soft and puffy crescent roll. But you’re in luck bc I’m posting a recipe for crescent rolls on my blog tomorrow!! We made these for dinner tonight with a kale salad. They were so cute! They were also delicious and the ingredients were kind of festive. Thanks for the recipe. Oh yum! This is definitely a winning combination 🙂 My husband will just love these!! As a fellow carb lover, I’m totally drooling over these. What a great flavor combination! With both Pumpkin and Cranberry in the recipe, have you thought of using raw or course sugar instead of the Kosher salt, or are they not sweet enough for that. I was just thinking they might taste good with some type of sweet dip and used as a dessert treat – what do you think? It is definitely not a sweet roll kind of bread, so I’d stick with salt. I noticed that there is no salt in the dough itself, is that an error? There is not, but you can certainly add a generous pinch if you’d like. Can this be made as loaves? I have not made it as a loaf, but I would imagine it might work. Let me know if you test it out! 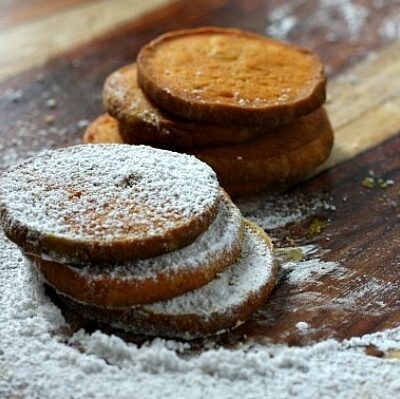 I’m so going to make these to go with our spicy pumpkin chili! Love the salty sweet combo! Great recipe, Lori! Keep dreaming up those recipes girl! These look fantastic! Looove these! What an unexpected and fun treat to serve at a dinner party. I’m TOTALLY a carboholic, too!!! These look SO good, Lori! And pumpkin!!! Bread + pumpkin = win! well, you are not really a carboholic if 32 breadsticks is too much 🙂 –but you just might be on the road to being one! These look gorgeous, Lori! I want to reach in and grab a few. I’m pinning these for later — they are a must!